Located in Carriage Station shopping area, beside the East Point Post Office on East Point Street, Atlanta Injury Specialists offers Chiropractic, Physical Therapy and Nutritional Counseling services to the community. Atlanta Injury Specialists has been in East Point since 2005. Dr. Isaacson chose to locate her business in the historic downtown area of East Point because of its small-town feel, accessibility to the East Point MARTA Train Station (just a block away) and the friendly people here in East Point. Dr. Karen Isaacson is a board certified chiropractor who has been practicing chiropractic in Metro Atlanta for the past 10 years. 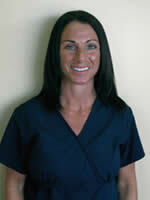 During this time, she has also successfully managed other doctors and clinics throughout the Atlanta area. Dr. Isaacson has provided pain relief to hundreds of patients during her 10 years of practice and has taken a special interest in injuries sustained in an accident or trauma. Dr. Karen makes it a point to establish a comfortable and trusting relationship with each patient upon their first visit with open communication kept throughout treatment. "Getting to know the needs of each patient is essential to my success as a doctor", says Dr. Isaacson. Dr. Isaacson is proud to be a member of Georgia's largest network of attorneys and doctors that work together to provide quality care to all patients, including the under-insured and uninsured. AIS participates in community activities such as the East Point Fire Department Health Fair and has donated food to the homeless and less fortunate. Dr. Isaacson and her assistant, Shannon, continue to volunteer in and around the East Point area. In addition, Dr. Isaacson has written articles in the first two downtown East Point newsletters in hope of spreading helpful information regarding health, diet and exercise. We see patients/clients of all ages, races and backgrounds. We are the #1 Injury Center in East Point. Whether you have been injured, suffer with chronic back pain or just want a relaxing massage, we are eager to help! Our mission is to always meet your individual healthcare needs and exceed your expectations. Community Appreciation Offer: First Visit FREE! Includes exam consult and 2 x-rays (if needed). Also, first hour massage, only $50! Call today to make an appointment at 404-209-9277!